It may be prohibitively distant for Halloween fans in Los Angeles; nevertheless, Hollywood Gothique wants to alert its readers that the Winchester Mystery House in San Jose, California is resurrecting Fright Nights for Halloween 2012. The year-round tourist destination - whose labyrinthine corridors, dead ends, secret panels, and other architectural oddities were allegedly designed to confuse evil spirits - premiered Fright Nights in Halloween 2011, earning a favorable review at Haunted Bay (sort of the San Francisco equivalent of Hollywood Gothique). 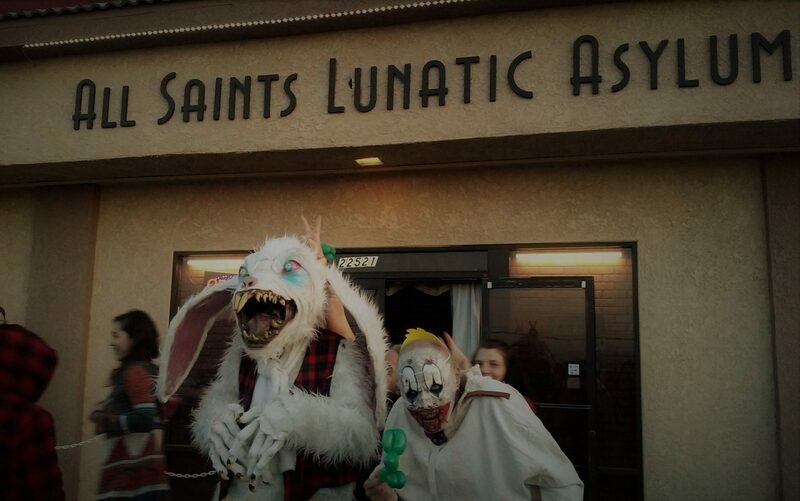 Unfortunately, we could not arrange our own visitation, but we plan to correct that oversight this year. The Fright Nights maze is an extra attraction, on the grounds of the Mystery House, which offers a night-time, flashlight-only version of its standard daytime tour. The maze, "The Curse of Sarah Winchester: The Resurrection," lasts 40 minutes. The flashlight tour takes $35 minutes. Both are included in the price of admission. Pre-sale tickets are available through September 9 at http://winchestermysteryhouse.com/frightnights.cfm. Regular tickets are $35; VIP tickets, which offer front-of-the-line access, are $50. SAN JOSE, CA, August 16, 2012 – Just in advance of Halloween, the award-winning Winchester Mystery House® attraction "Fright Nights" returns for a second year kicking off on Friday, September 28, 2012. The world-famous mysterious, rambling and reportedly haunted home of Sarah Winchester has more thrills and exciting additions to last year’s award-winning Maze and Mansion tour. Throughout September and October (see complete schedule below), the grounds of the Winchester Estate will be transformed into the world’s most terrifying Halloween experience. Filled with haunted walk-through attractions, roaming scare performers, and nightmare inducing tales, “Fright Nights” will once again be an event visitors won’t want to miss. Guests at Winchester Mystery House®“Fright Nights” will have the exclusive opportunity to experience the revamped “Curse of Sarah Winchester Maze” – an interactive, multi-sensory gateway between Heaven and Hell which will be opened exclusively for visitors of “Fright Nights.” Reports have said, that for a lifetime, Sarah Winchester built and rebuilt her house to avoid a treacherous curse and to escape the legacy of death. Those who perished by the Winchester rifle seek revenge and are ready to torment souls. 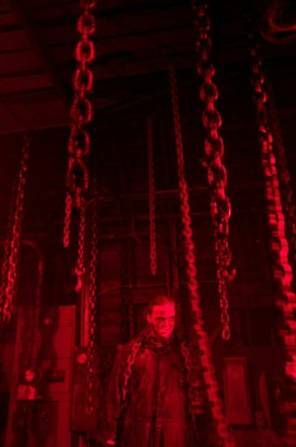 Visitors find themselves trapped inside an estate that is empowered by the undead as they travel through the Corn Fields of Winchester Mystery House®, into the haunted ruins of the family Graveyard and ultimately, to a showdown with Sarah herself as she presides over one of her infamous séances. Tour the mansion as you never have before - on your own. Since Sarah’s death, millions of people have visited her home and many have reported sighting ghosts. Do the phantoms Sarah communed with, or does perhaps Sarah herself, still lurk nightly in the maze-like corridors of the Winchester Mystery House®? You'll tour the rambling, mysterious mansion with only the moonlight, a souvenir flashlight, and your imagination to provide illumination through the bewildering labyrinth of rooms and stairways. The Winchester Mystery House® is a California State Historical Landmark (#868) and was designed and built by Winchester rifle heiress, Sarah Winchester. The landmark is one of the top tourist attractions in the world and has recently been voted as #2 of the World's Most Haunted Places by the Travel Channel; The Scariest Locations In America #3, by HauntWorld Magazine; and #5 in the 10 Great Places To Get Spooked by USA Today. For more information about the Winchester Mystery House®, please visit www.winchestermysteryhouse.com or the official Winchester Mystery House page on Facebook: facebook.com/winchestermysteryhouse or Twitter: twitter.com/WinchesterHouse. “Fright Nights” at the Winchester Mystery House® is produced in cooperation with Imagination Design Works (IDW). For information about IDW, please visit their website at: www.imaginationdesignworks.com. 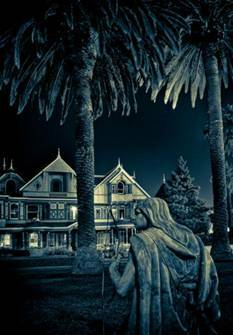 • “Fright Nights” is a special ticketed event at the world famous Winchester Mystery House®. On select nights in September and October, the grounds of the Winchester Estate are transformed into Northern California’s most terrifying Halloween experience, filled with haunted walk-through attractions, intense scares, roaming scare performers, and nightmare inducing tales. Remember we do not build haunted houses...we are one! • The Curse of Sarah Winchester Maze is 40 minutes in length, making it one of the longest haunted attractions on the West Coast. 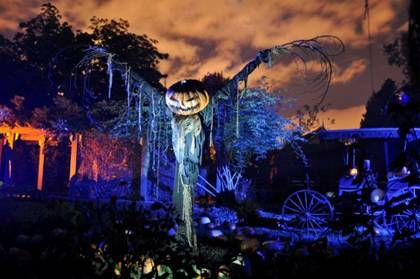 • A total of 110 performers bring the Curse of Sarah Winchester Maze to life every night. • The bell tower which chimes during the pre-show of “Fright Nights” is the same Sarah Winchester used in her nightly séances. • The carriage in the pumpkin patch scene below Sarah Winchester’s bedroom is actually an authentic buggy which was owned by Winchester the rifle heiress. • The graveyard you enter in the maze is actually a real pet cemetery. Make sure you pay your respects to Baron and Spirit. • Five rooms you pass through in the Halloween Flashlight Tours are actually renowned for being haunted. Paranormal investigations were held in the Séance Room, Sarah’s Bedroom, Daisy Bedroom, Main Ballroom, and Basement by SyFy Channel’s Ghost Hunters and Travel Channel’s Most Haunted. • If visitors look hard enough they will see Sarah Winchester’s recurring theme of “13” which was tied to her infamous home and also themed into various elements of the haunt. The Winchester Mystery Houses website is located here.